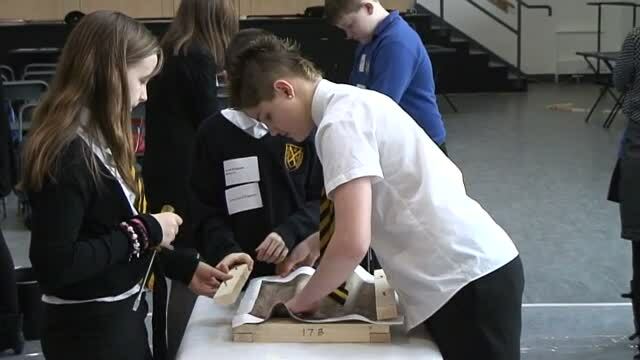 Concrete in the Classroom is a community engagement resource following Curriculum for Excellence principles which delivers cross curriculum learning through five construction related lessons and culminating in a site visit to a concrete factory or similar construction facility. - Create a learning experience which shows employability within the Construction Industry and explore the part that the Concrete Sector plays in this Industry. - Create lifelong learning skills and show how these materialise in future work opportunities. - Create new meaningful links between Secondary Education, Industry and Further / Higher Education. - Help to create confident individuals who are successful learners and become an effective contributor and responsible citizen. - Develop an awareness of career opportunities that may not have been referenced prior to the program. - Create an opportunity through CPD for schools to up skill their staff to repeat the program whilst being supported and ultimately self-deliver the program going forward as other schools join the program.